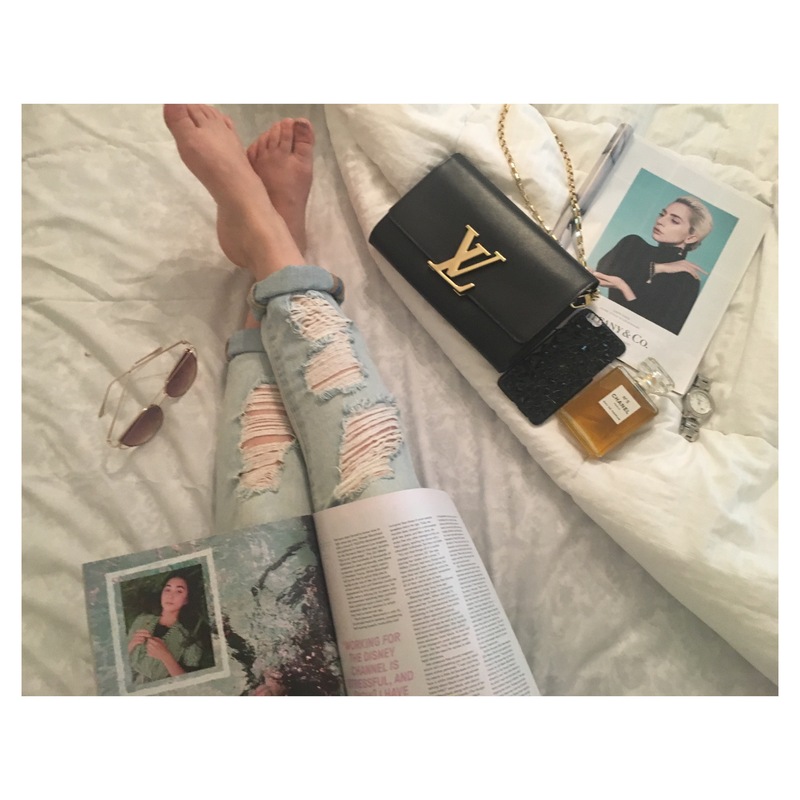 beauty, fashion, travel, adventures, and daily musings. 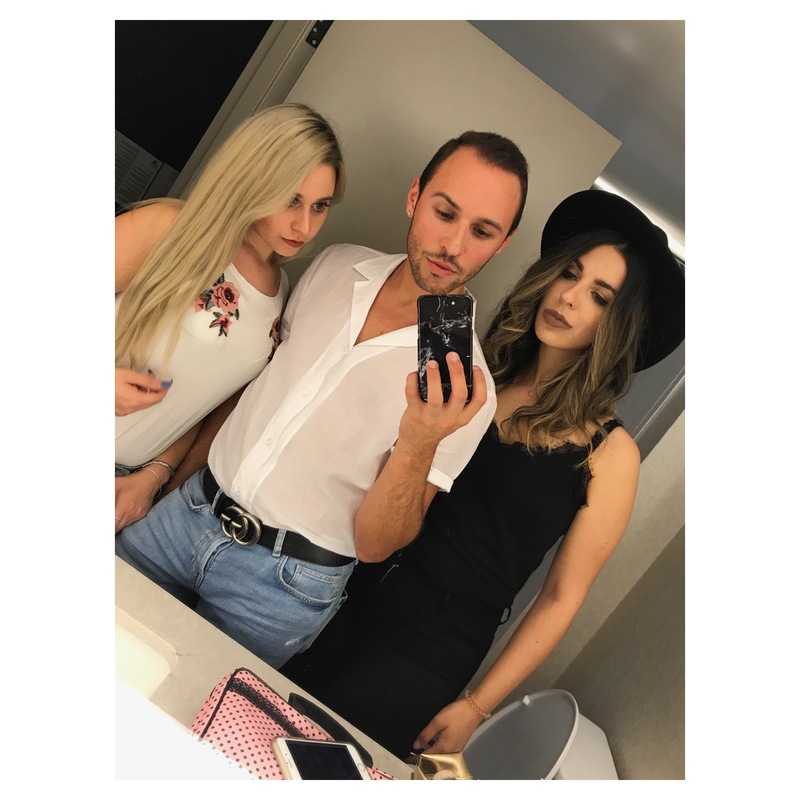 This past weekend, my two best friends and I decided to drive into the city and get a hotel room for Saturday night. Because we all live north of the city of Toronto and all work more or less away from the city, we don’t get to spend much time there. We started our adventure early on Saturday morning with big plans of walking around the city and checking out cafes and ice cream shops like “Sweet Jesus” that we had all heard so much about. However, the weather quickly ruined any plans we had of walking around much as there was heavy rainfall all afternoon into the evening, which sadly meant no chance to walk to the ice cream shop. 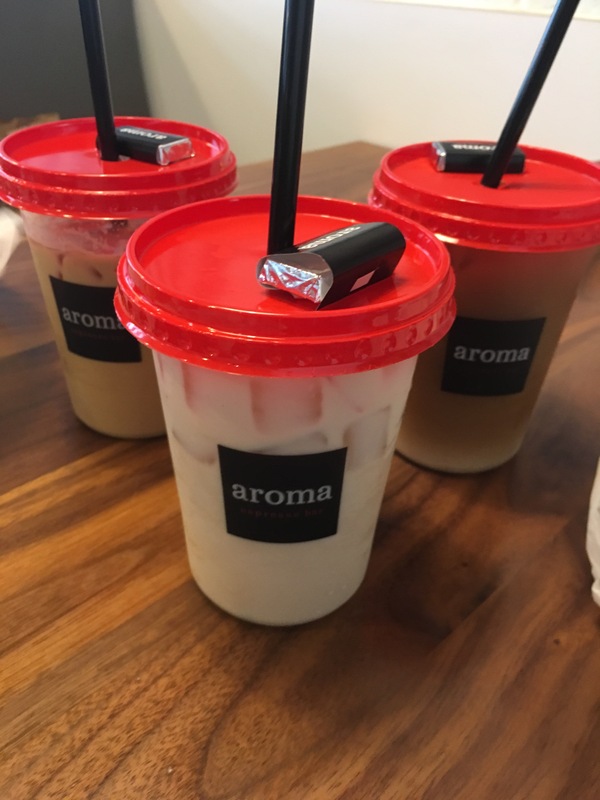 My friends and I all got iced drinks, I opted for the iced chai tea latte with lactose free milk which was really tasty, and my friends both got various forms of iced coffee. We decided to spend the day indoors at the Toronto Eaton Center mall, which is arguably the best mall in the city. Nordstrom was having its anniversary sale and I gleefully purchased 3 pairs of shoes that I had previously had my eye on and were now half their original price. I also purchased a couple tops from the Urban Outfitters located on Queen street, across from the mall, but I was a little dissapointed with their selection of items compared to their usual stock and it was really hard to find sizes in anything. I will be making a haul post this week featuring my new purchases. 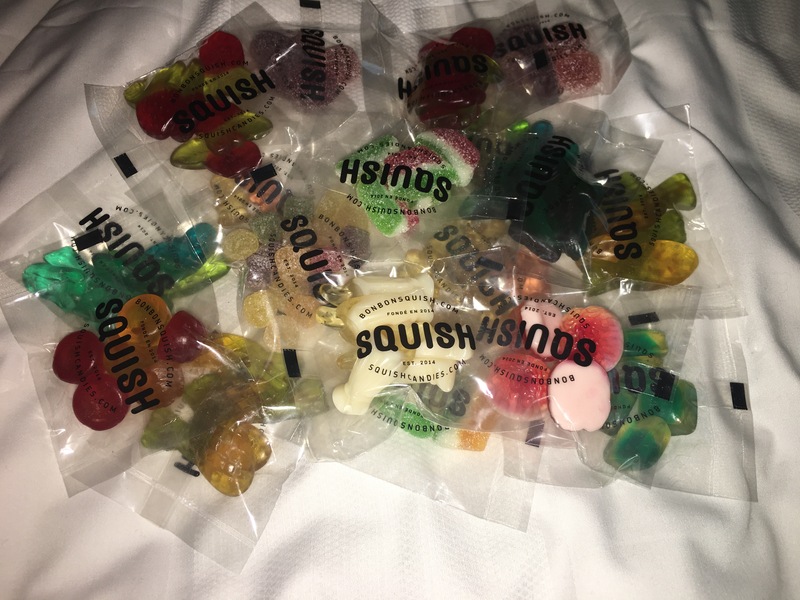 The shopping was fun, but for me I was most happy about getting to buy a bag of candy at the store Squish which is a candy shop specializing in hundreds of flavours and shapes of gummy candies. 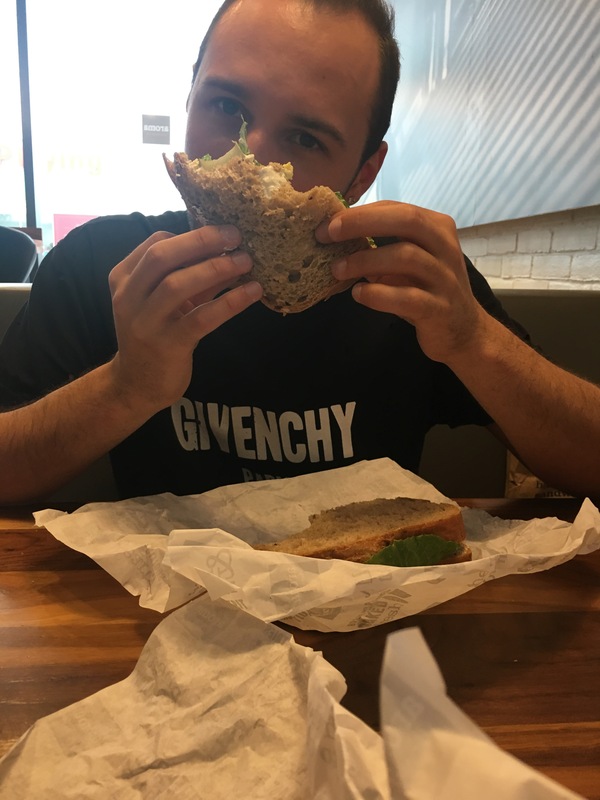 They only have a couple locations in Toronto, one being a small pop up shop in the Hudsons Bay of the Eaton Centre mall. 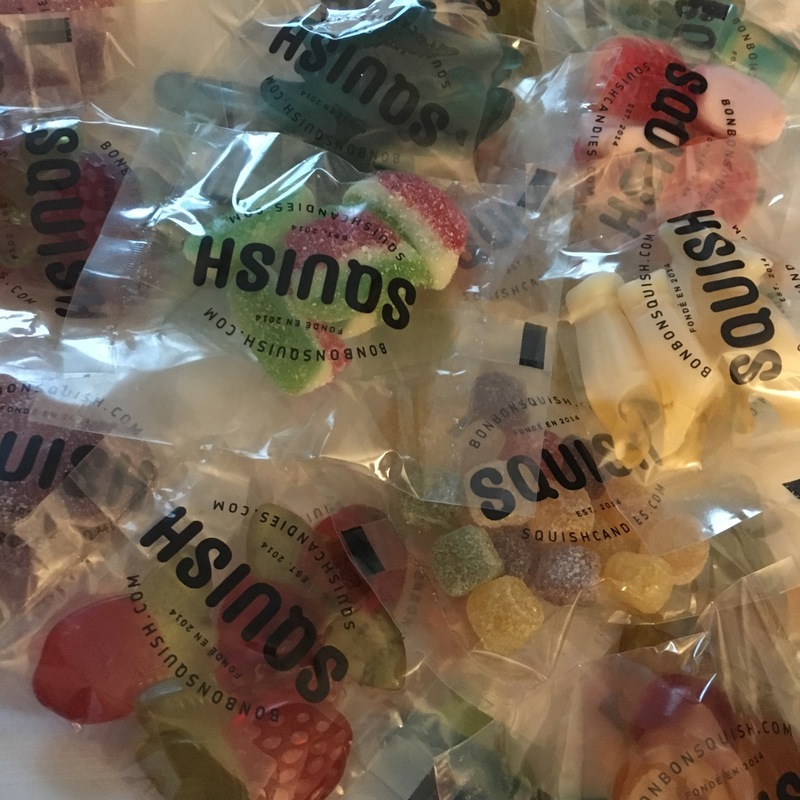 I had heard a lot about the company and about some of their delicious alcohol infused gummy candies like the prosecco gummy bears. The candy definitely lived up to its hype, and we devoured that bag of gummy goodness. I was able to take a few pictures of the candies before they were eaten. There were gummy pineapples, gummy mermaids, sharks, bears, strawberries, watermelon, cherries, sour gummies, alcohol infused gummies- I was in candy heaven. I can’t wait to go back to the Eaton centre to buy more! To finish off our night out on the town, we decided to try something we had all been dying to try for a while: a karaoke bar! 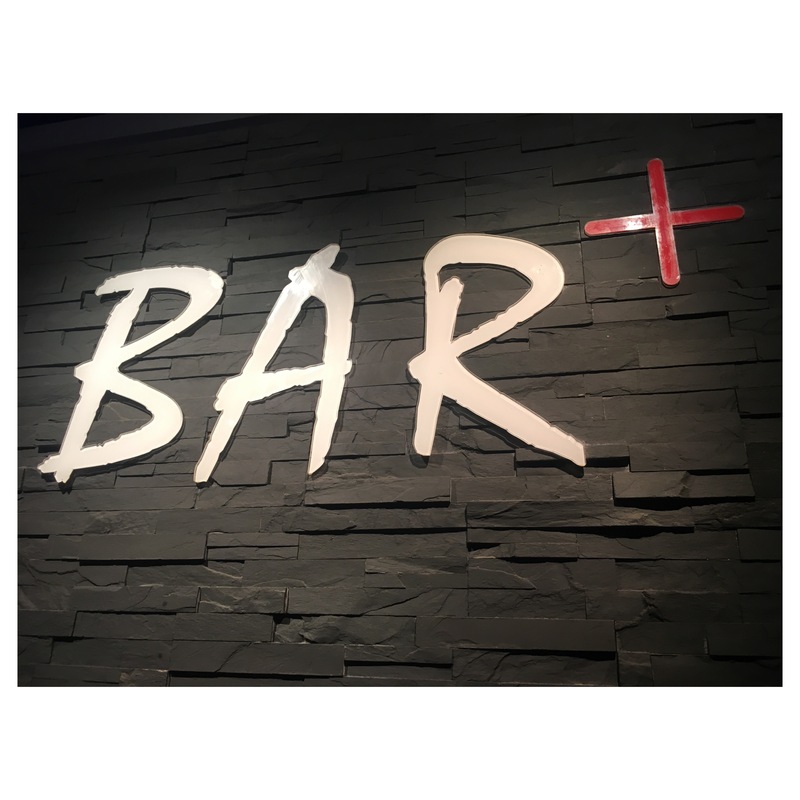 We found a place called Bar + near our hotel which was a bar and karaoke lounge. We cabbed over -it was still raining- and we were told that there are individual karaoke rooms for 2+ people (which I like much better than having to sing on a stage in a crowded bar). The wait time for a karaoke room however, was a whopping 2 hours and because we didn’t want to cab back to the hotel to wait it out, we decided to have a couple of drinks at the bar. The crowd in the karaoke lounge was vary diverse and ranged from young couples, to a group of middle aged women celebrating a birthday, to a bachelor party of rowdy 20-something men with a blow up doll in tow (people watching is quite entertaining). Eventually around 12:15 pm, we got our karaoke room which we had decided to rent for an hour and a half ( which goes by very quickly when you’re belting out 90s love ballads) and we were given an iPad with thousands of songs which we could make a playlist out of for our karaoke session. 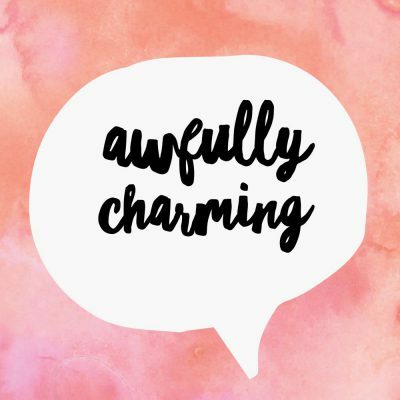 We chose a variety of our collective favourites, like “Just A Girl” by No Doubt, “Toxic” by Britney Spears, almost everything by Destinys Child, and most of the soundtrack from Grease. It was honestly one of the funnest group activities we’ve ever done and I’m dying to do it again. I loved the seclusion of being in our own room and being able to dance around and karaoke to our hearts content without being watched. And thus was our “best friends” weekend. I was going through my expansive photo library yesterday and I rediscovered a ton of photography I had taken on past vacations and trips. I decided to make a weekly thread where each Friday I’ll post a picture or two that I’ve taken from somewhere in the world. This week, for my first Travel Photography Friday post, I’ve decided to feature some photos that I took on a trip to Aruba in April of 2015. 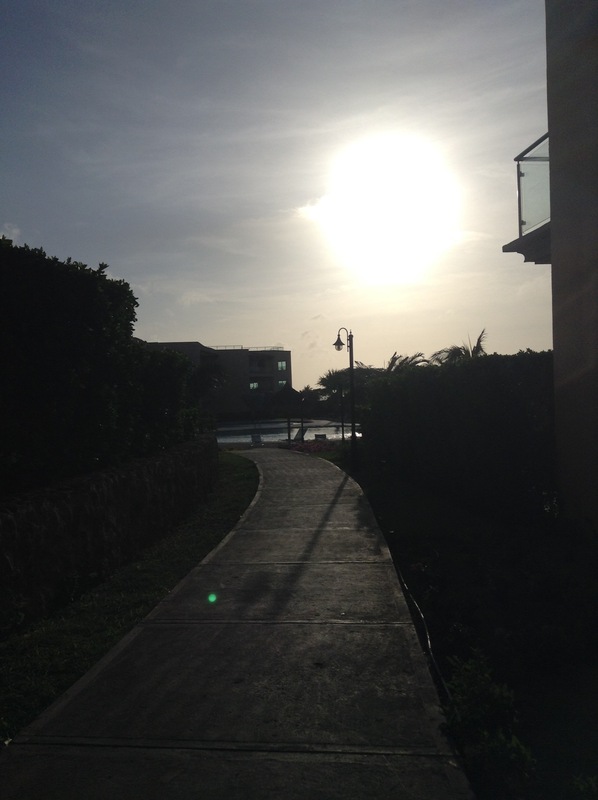 This is an image I captured of a beautiful sunset outside of the condo building we were staying at. How beautiful is this flower lined pergola outside of our condo building ? 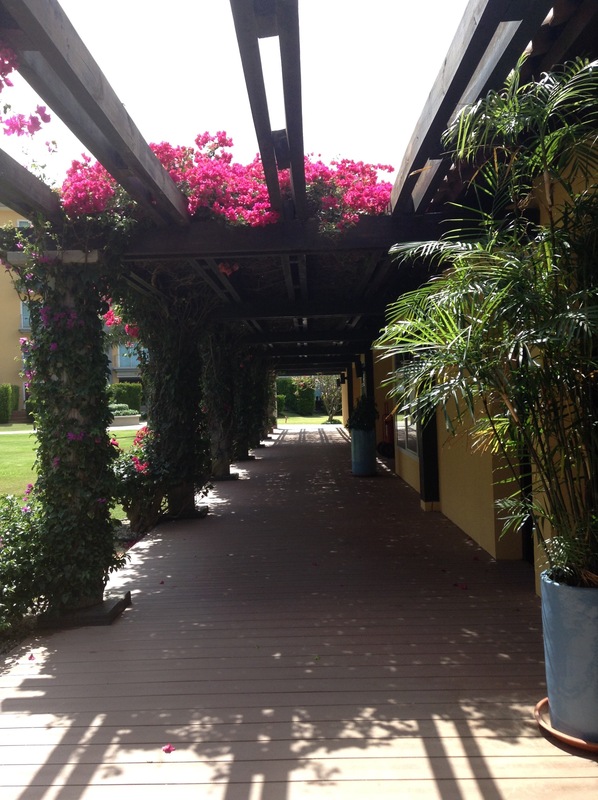 This beautiful walkway housed the workout room. 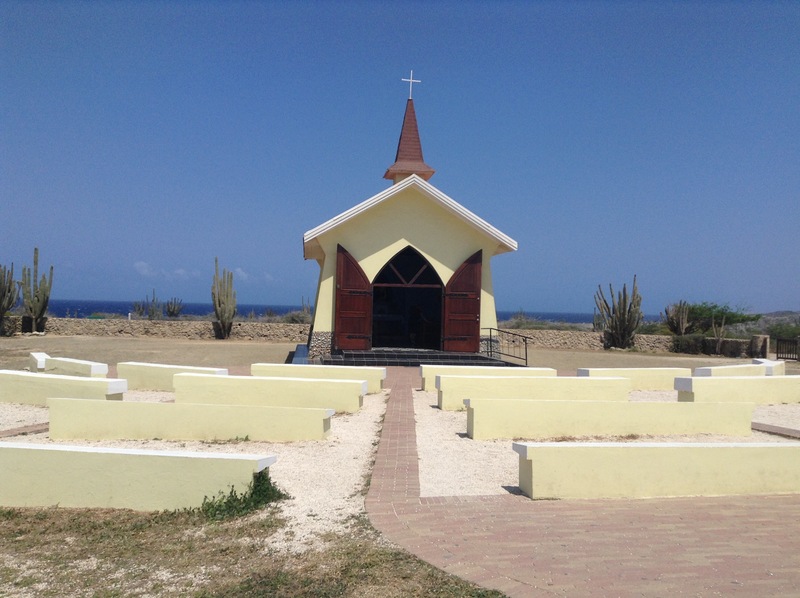 This little old chapel known as the Alto Vista was the first ever built in Aruba and is located in isolation amidst a desert landscape. 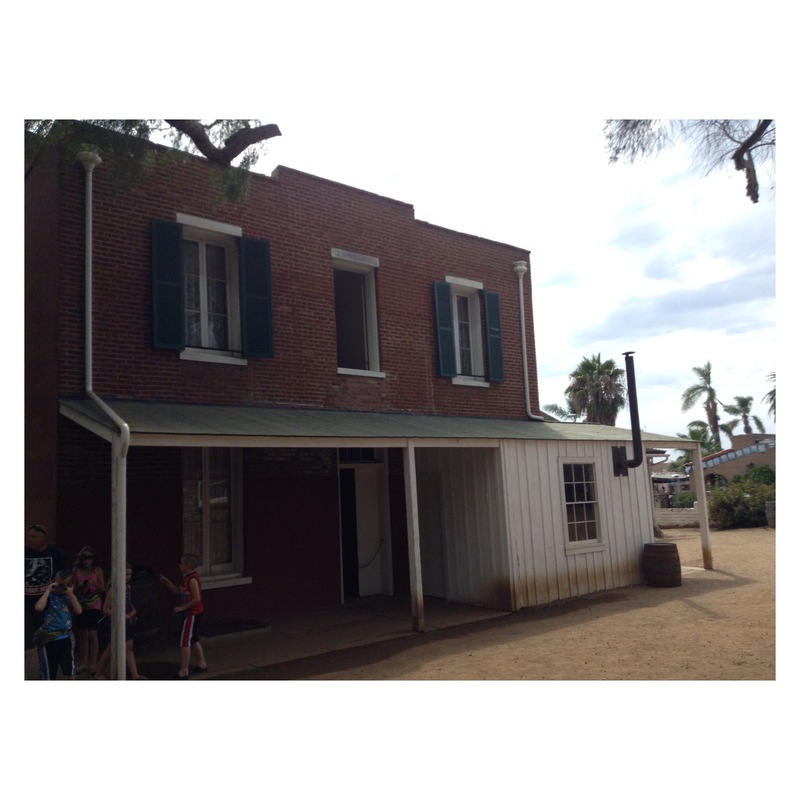 The original church was built in the 1700s but this structure that stands there now was built in the 1950s. We had to rent ATV’s to reach this spot and it was an amazing experience. 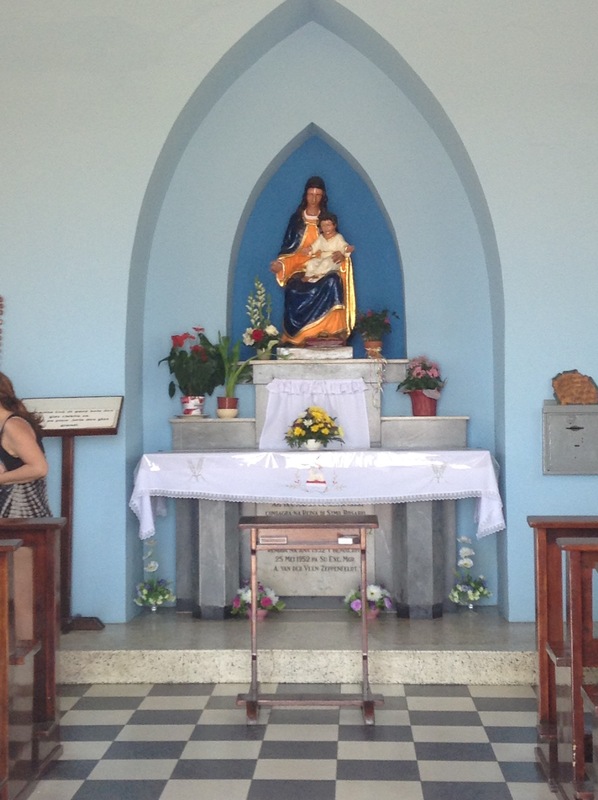 This is a view of the inside of the chapel which is quite small and only holds a few pews. 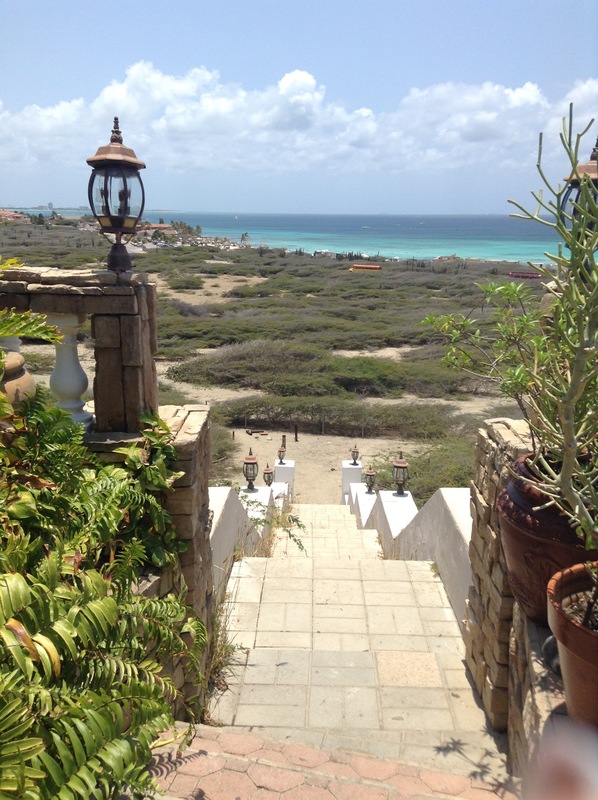 One of the best views I’ve ever seen- the view from a restaurant situated above miles of desert land and water. A photo I took off the beach near where we were staying known as Eagle Beach. 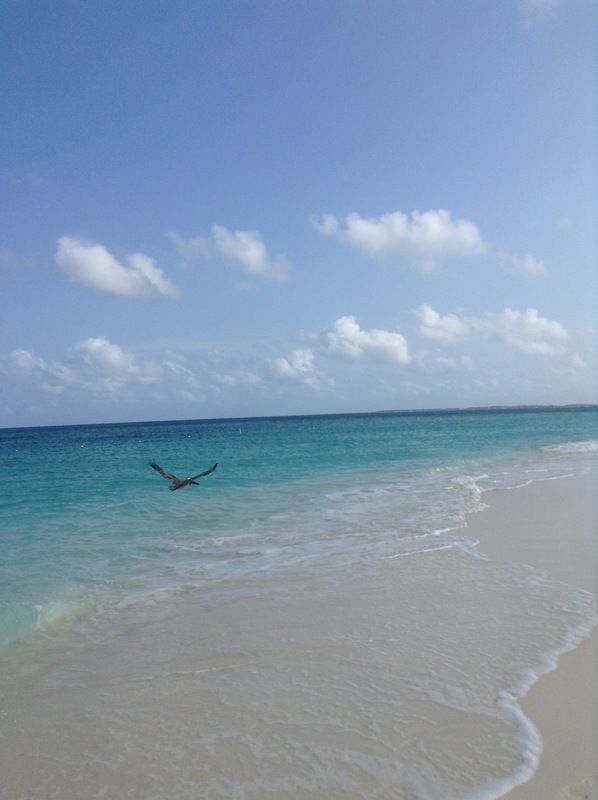 The waters were so clear and pristine and the sand was clean and well maintained. Definitely one of the best beaches I’ve ever been to. I’ve just discovered this song and I can’t stop playing it so I thought I would share it! I really love this song and I find both the lyrics and the melody entrancing. I had never heard anything by this artist before but after hearing this beautiful song and his incredible voice I am an instant fan of his. I’m a huge fan of Indie/Alternative rock and I’m always on the look out for new artists to listen to and I’m so happy with this discovery! I will definitely be adding more of his music to my ever growing ITunes library. I hope everyone had a lovely weekend and for those celebrating Father’s Day I hope it was good! I spent most of Saturday morning studying for the GRE test that I have to take in the end of July for my Masters program and taking flatlay photography in my room (the photo above was taken then). 😝I’ve developed a recent obsession for flatlay photography and I find it fun finding a mix of fashion items and knick knacks that go well together and capturing them in a photograph. Here’s a picture of the ring after a happy reunion with it on Sunday! 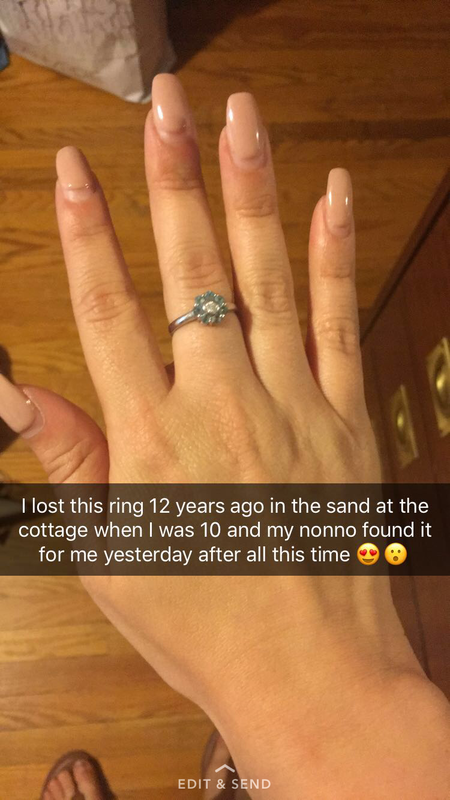 I still can’t believe that it was found after all these years! I was just another rock. I feel like I’m on the run. I love the use of the line “starting to rust” as in the author of the lyrics feels as though he’s been alone for so long that he’s beginning to form rust, like an old piece of iron left to outside to endure the elements. I think this is song is both well written and upbeat, and It is currently my favourite new discovery.